The new hip hop dance single by Teflon Don featuring iLoveMemphis, which is entitled “Stop & Go,” is produced by new music producer Cashus Magnum, along with co-production by his father, Memphis-own award winning super producer Carlos Broady, who has worked with the likes of Jay-Z, The Notorious B.I.G., Mary J. Blige, Yo Gotti, 2 Chainz, Three 6 Mafia, Indie.Arie, Ghostface Killah, Diddy and many more. The song was mixed by Kevin Haywood and mastered by Kevin Nix. January 1, 2017, was the official release date and also marked the beginning of the first #StopAndGoChallenge where contestants have a chance at winning $1,000 every 3 months. The new music single is currently available on iTunes and other online retailers and the contest info can be found on the official Teflon Don website. A portion of the proceeds from the sale of the music single will go to support the dance school U-Dig Jooking Dance Academy. 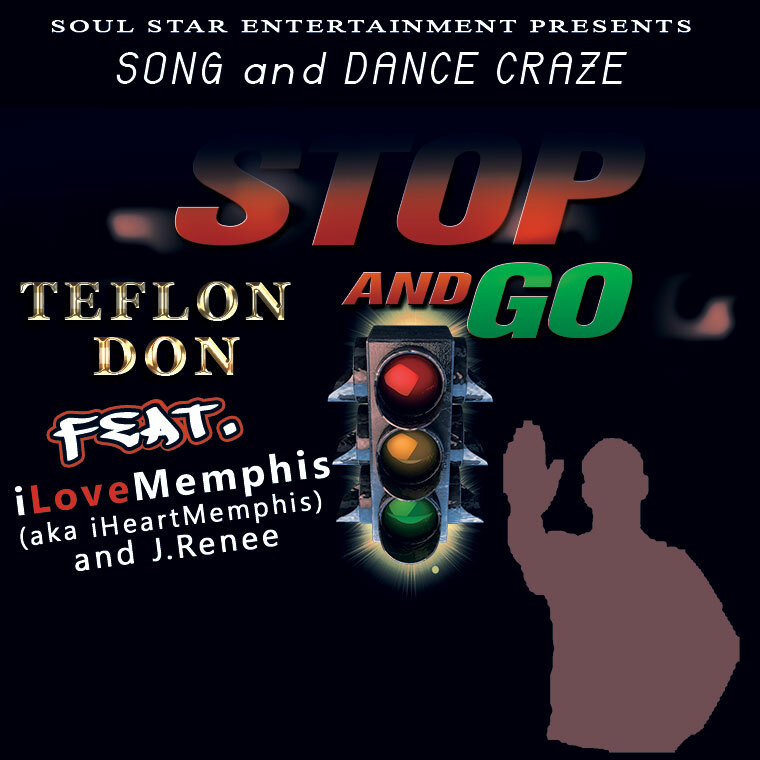 More is soon to be unveiled on the hot new single “Stop & Go” by Teflon Don, featuring iLoveMemphis and J. Renee. DJs and media interested in being the first to hear the new single, please use the contact information below.